If reproduced or distributed, this image should be clearly attributed to the collection of the Australian National Maritime Museum; and not be used for any commercial or for-profit purposes without the permission of the museum. For more information see our Flickr Commons Rights Statement. The ANMM undertakes research and accepts public comments that enhance the information we hold about images in our collection. This record has been updated accordingly. Thank you for helping caption this important historical image. 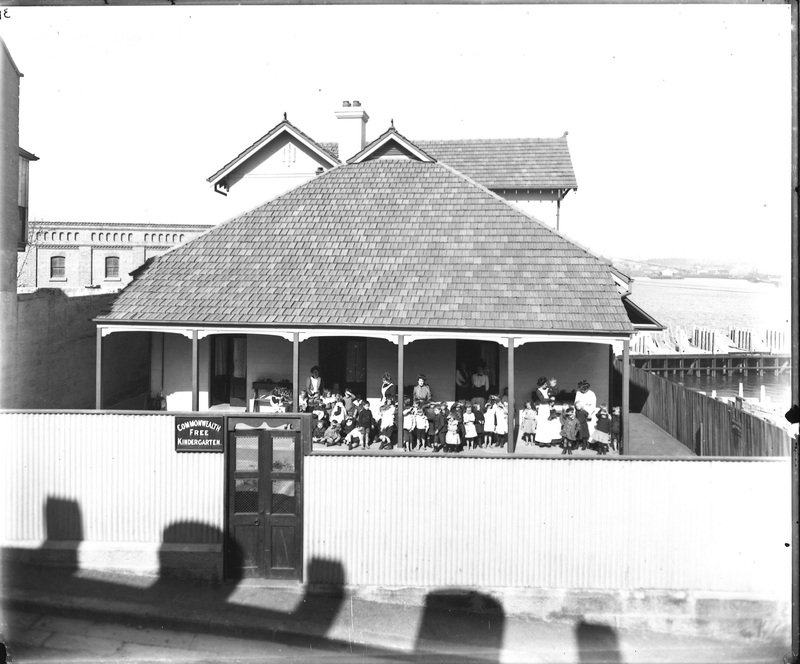 See also the Dictionary of Sydney's entry on the school for the same image, credited to State Records NSW. [http://www.flickr.com/photos/beachcomberaustralia] Here's one [http://www.flickr.com/photos/pellethepoet] prepared earlier :) Thanks guys, interesting work re the shadows of the building across the road!